Julie and I had a day out on Monday 3 June – it is now Sunday 15 September. Sorry. I’ve got lots of churches to blog about. 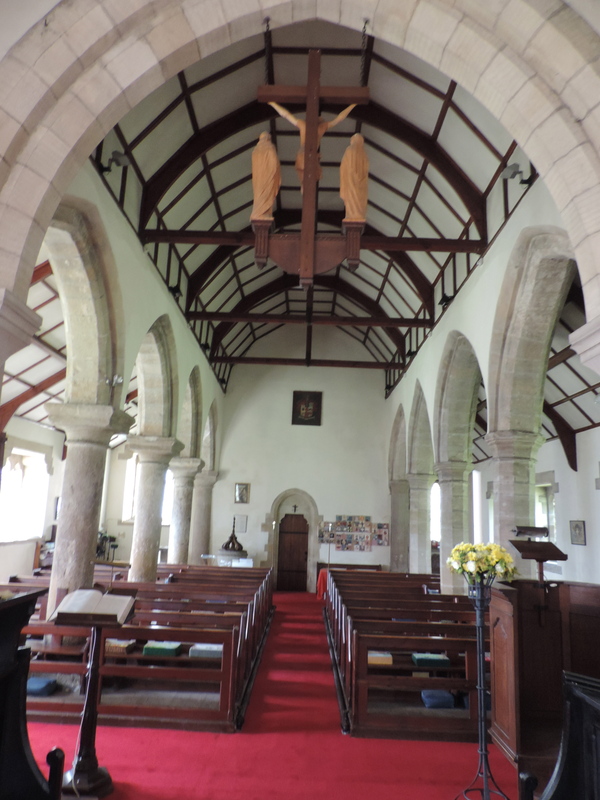 I’ve been back to Chollerton again with a DAC trip – the DAC is the Diocesan Advisory Committee, the church planning body – so I’ll combine the pictures from the two visits. The church is on the A6079, just past a wonderful viaduct on the Hexham-Riccarton Junction line – photo at http://www.disused-stations.org.uk/c/chollerton/index1.shtml. The station was next door to the church. NY931719. Good church website at http://www.chollerton-churches.org.uk, and they advertise “Coffee and Home-made biscuits after the morning service.” Even in Ponteland we don’t get “home-made biscuits” (well, not often). 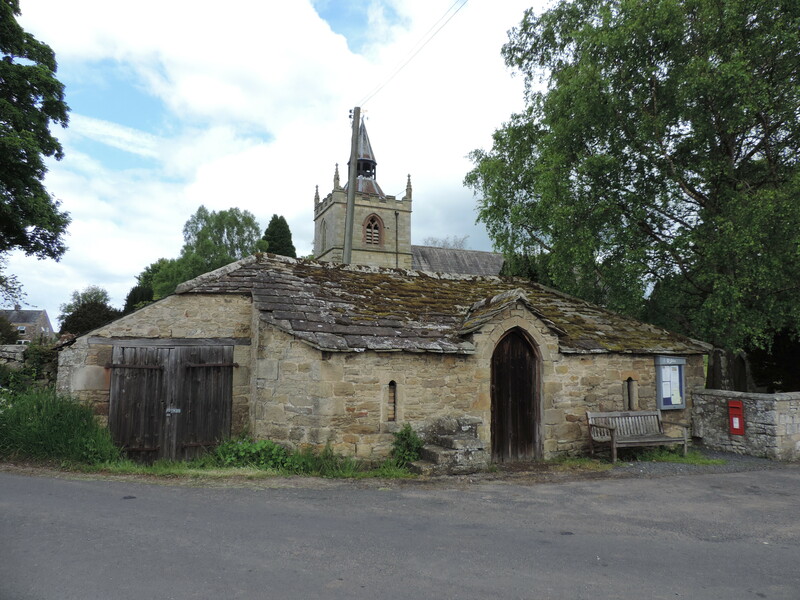 In front of the church is a Church Stable and Hearse House, early C19 according to Pevsner. 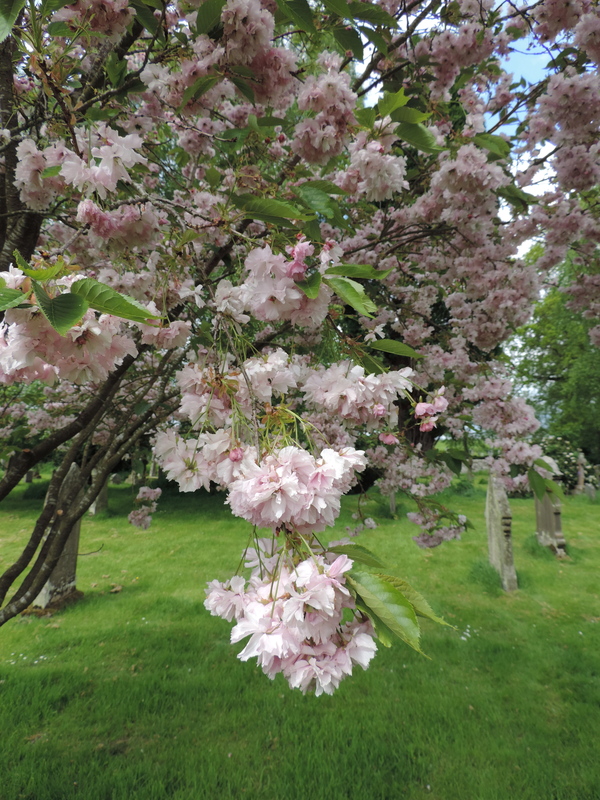 What do you do with a Church Stable and Hearse House in the days of cars and undertakers? I could take it on and we could build a superb model railway – do you need a Faculty to install a model railway (with a scale model of the viaduct)? 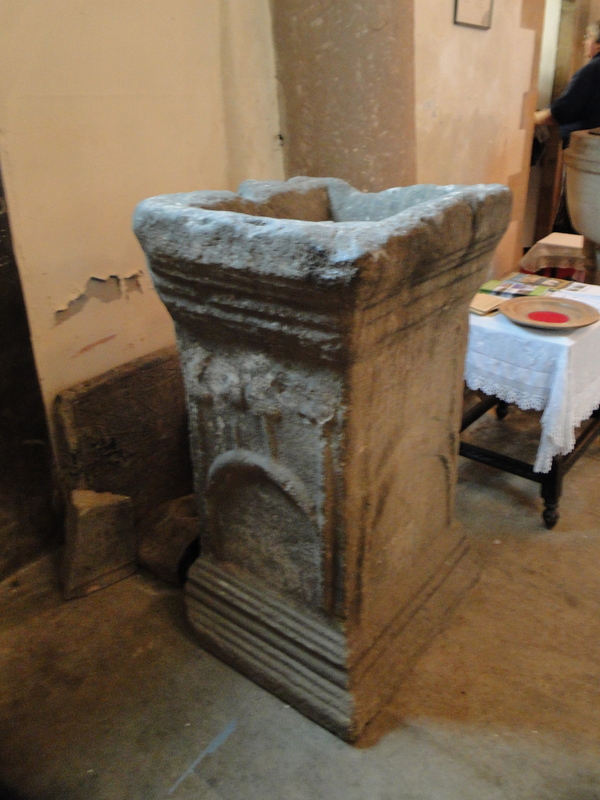 The church was consecrated in 1097. 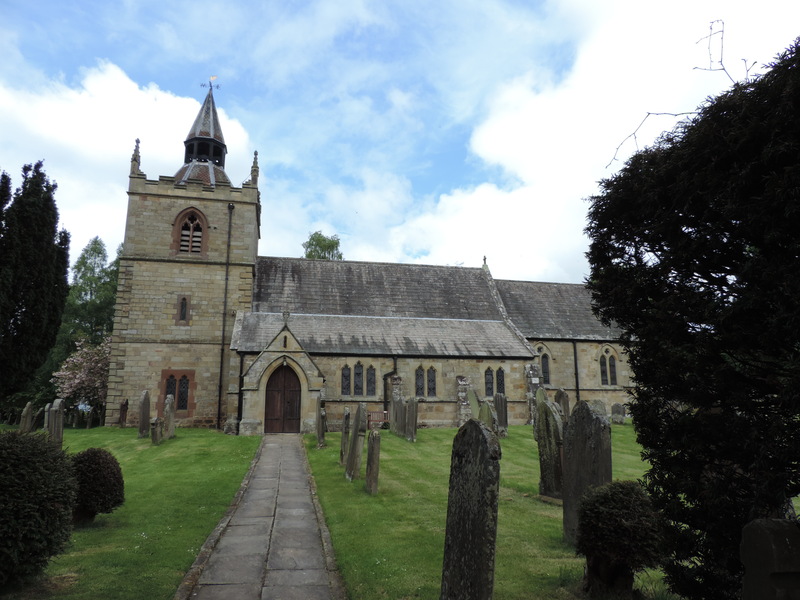 The original church was probably wooden and the stone church was built c1260 by William de Swinburne, a Scottish knight. Apparently the ancient village was across the road, and the name means the village of Ceolfrith, a Saxon lord. 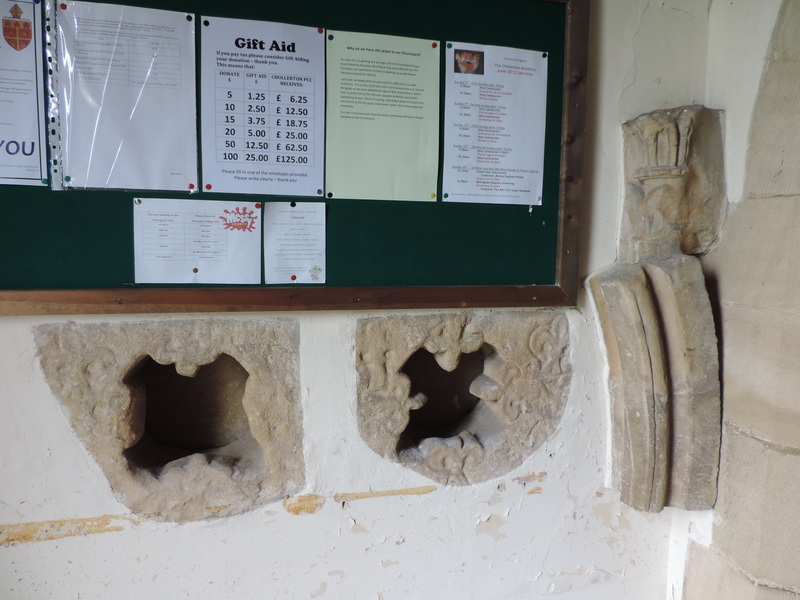 In the porch are some wonderful architectural fragments. 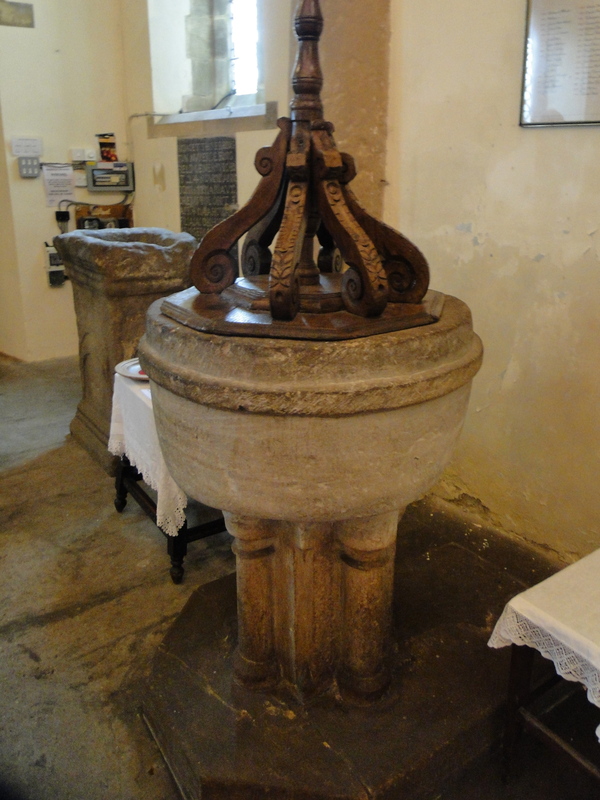 Just inside the church are a couple of fonts – a C13 font with a Jacobean cover, and a Roman altar which has been inverted and converted to Christian use as a font. 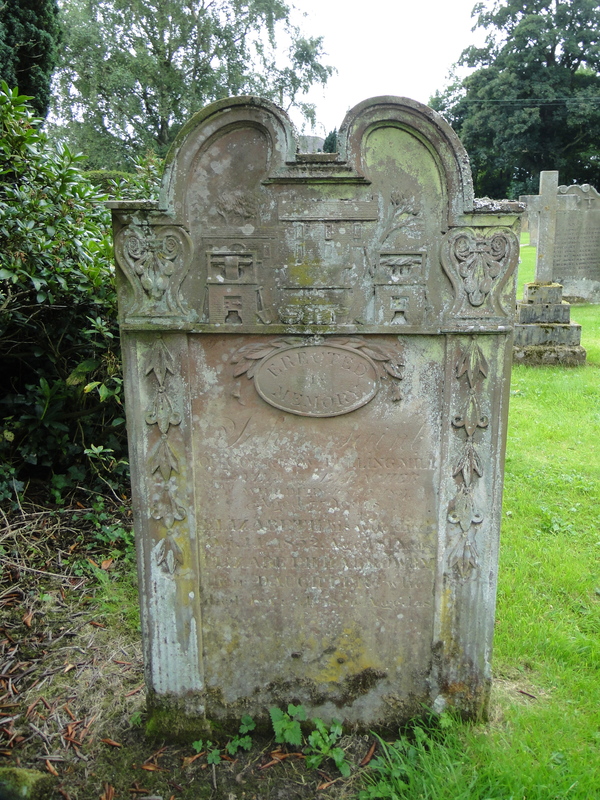 It was dedicated to Jupiter and was found buried in the churchyard in 1827. 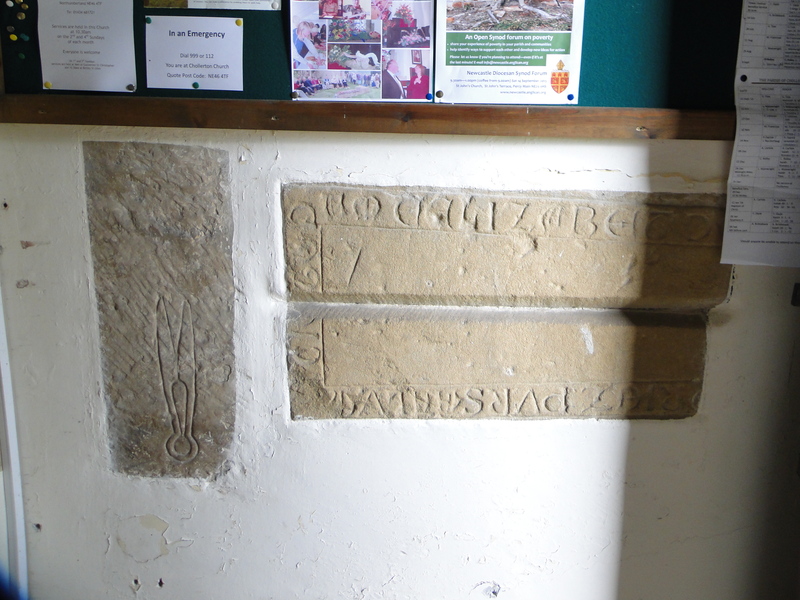 There is also a C17 Latin grave slab to members of the Errington family. There is a nice modern kitchen and loo at the west end – I like the way the rope for the bell hangs down just outside the door by the disabled assistance alarm. I think they could have saved money by feeding the bell rope into the loo and doing away with the alarm. 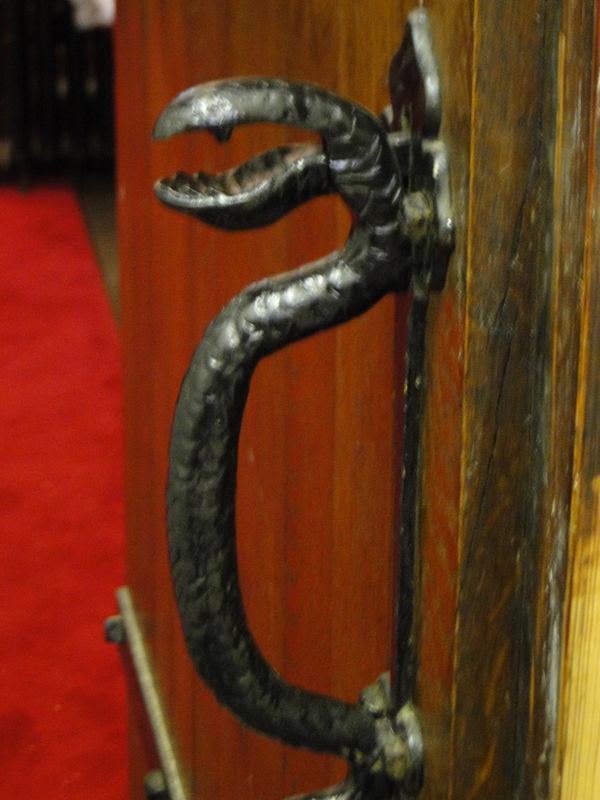 Curved serpent on the vestry door – the serpent is a symbol of healing, which links in with St Giles, the patron saint of lepers and the disabled. Why does WordPress refuse to let me put white space in the text so I can get the pictures and the words looking good? I set it up nicely, press “Save draft”, and all the space disappears. Snarl! 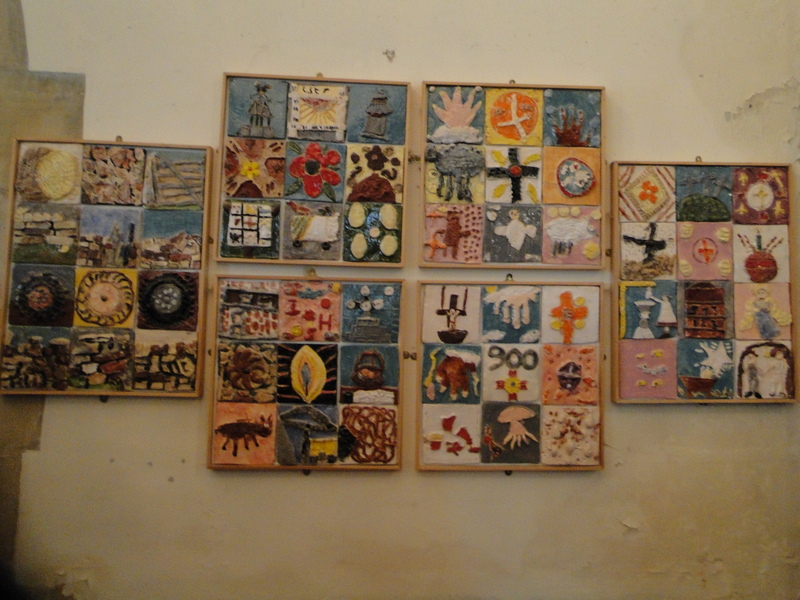 These tiles were made by the school in 1997 to celebrate the 900th anniversary of the church. 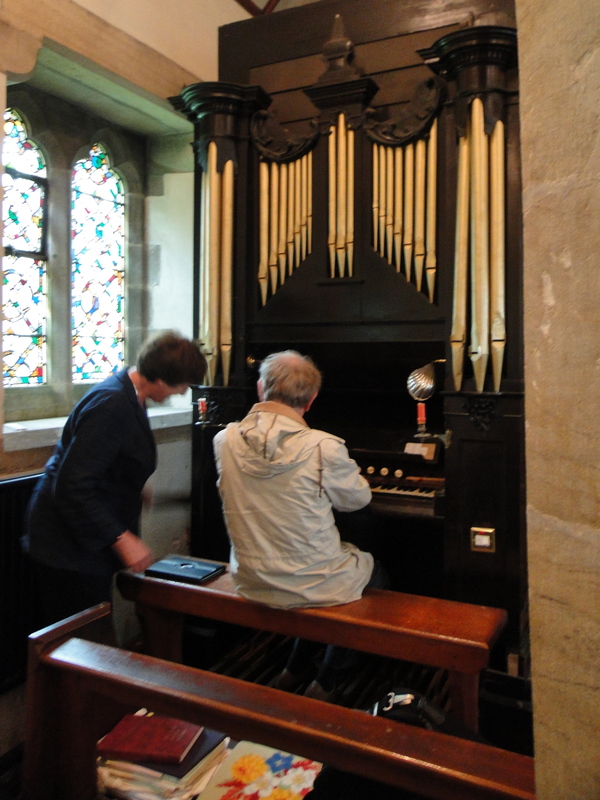 The organ in the north aisle – here being pumped by Frances and played by Frederick – was built by Father Schmidt, a famous organ builder in the time of Charles II. 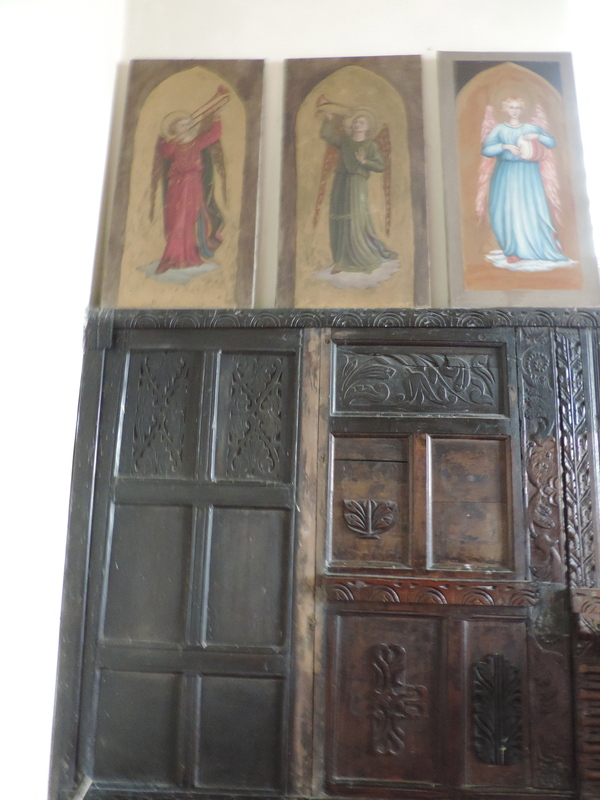 In 1684 Schmidt and his rival Harris were both bidding to build a new organ at the Temple Church. 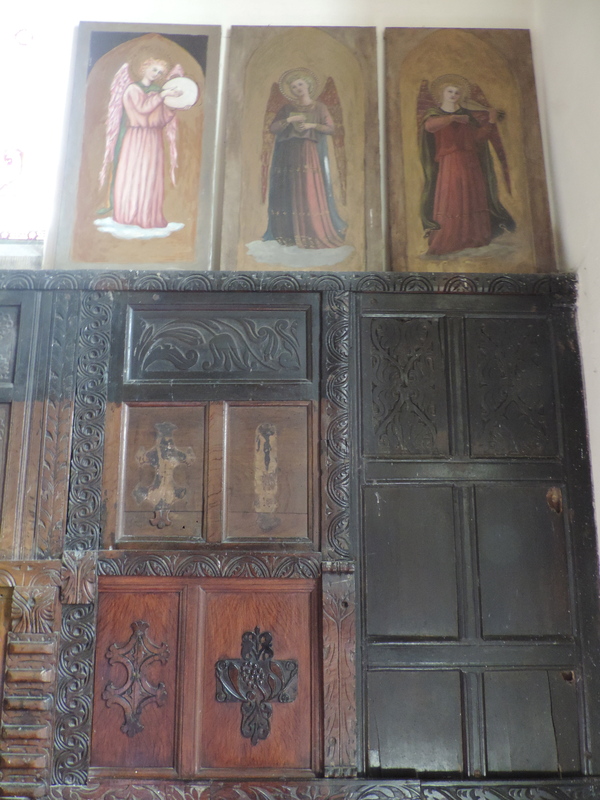 Apparently they both installed organs there and then hired prominent organists to demonstrate the superiority of their instrument. Schmidt hired John Blow and Henry Purcell – no wonder he won! 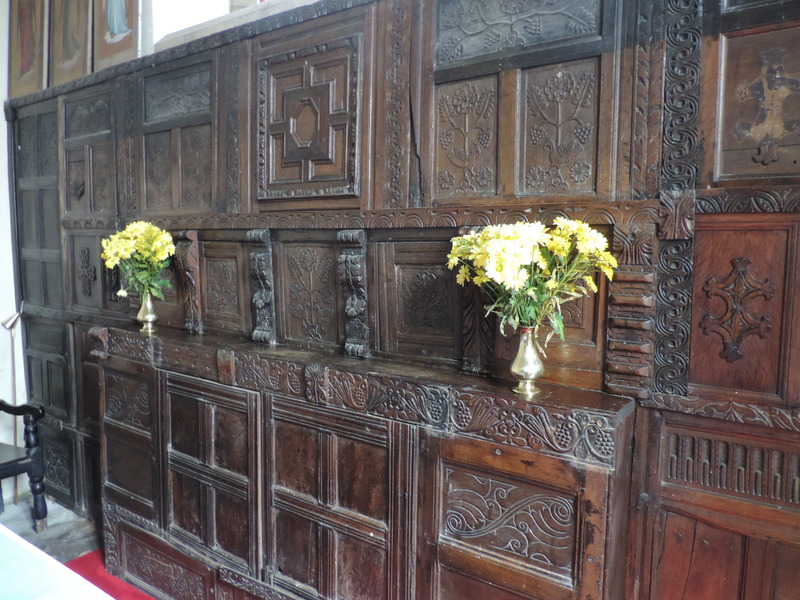 There is lovely woodwork in the Chancel – “re-used domestic Jacobean carvings” according to the guidebook. 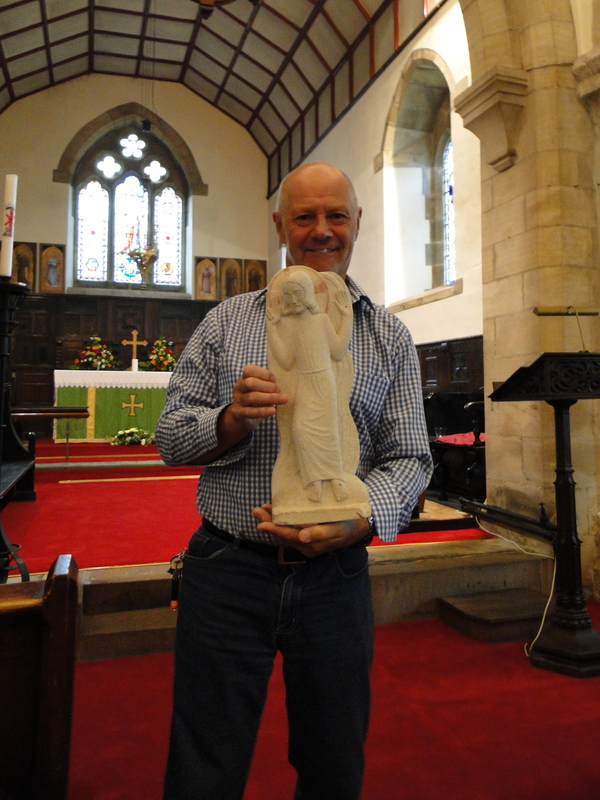 On our DAC visit we were shown this lovely statue – ? 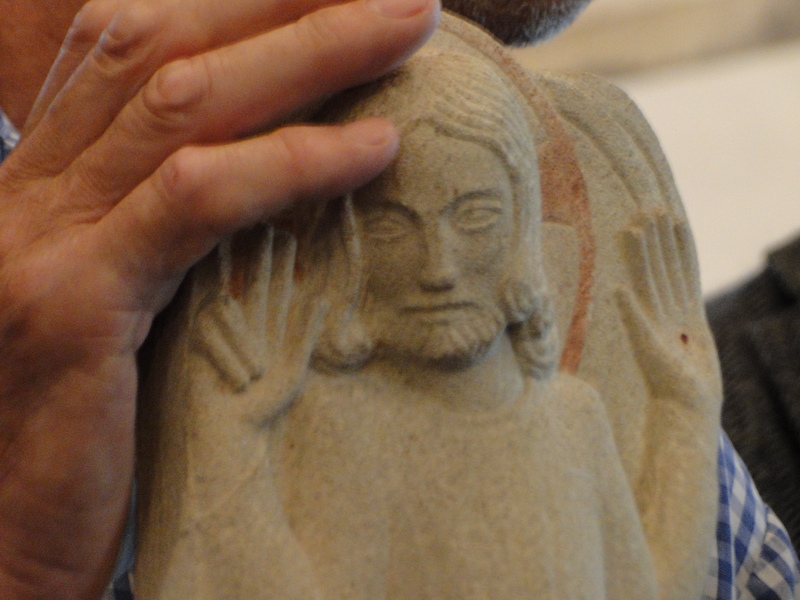 Eric Gill? It is kept securely. This entry was posted in Northumberland. Bookmark the permalink.